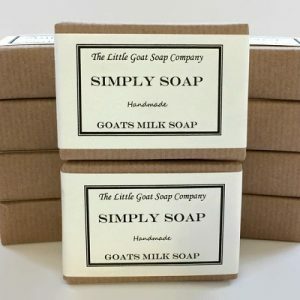 Using Raw Goats Milk our Goats Milk Lotions have been Specially formulated with skin loving ingredients to relieve the symptoms of Eczema, Psoriasis, Dermatitis and other uncomfortable Dry Skin Conditions. Ingredients: Goats Milk, Candelilla/Jojoba/Rice Bran Polyglyceryl-3 Esters & Glyceryl Stearate & Cetearyl Alcohol & Sodium Stearoyl Lactylate, Avena sativa (Oat) Kernel Oil, Raphanus Sativus (Radish) Seed Oil, Butyrospermum Parkii (Shea Butter), Glycerin, Phenoxyethanol & Ethylhexylglycerin, Xanthan Gum. I have been using the lotion for a week now and found it to be soothing and helpful to my psoriasis. I use it once/twice a day, intermittent to my prescribed creams. It feels like it is doing it good. It smells lovely too. This lotion is absolutely amazing! I’ve been using it for a horrible circular eczema-like rash on my wrist for just three days and the improvement is unbelievable! It was itchy, sore, flakey and really visible before and now it just looks so much better, almost gone completely… I can’t believe it! I had been using E45 for 2-3 months and wish I’d found this sooner!